Living Sq. Ft. : 2068 s.f. Total Sq. Ft. : 3015 s.f. 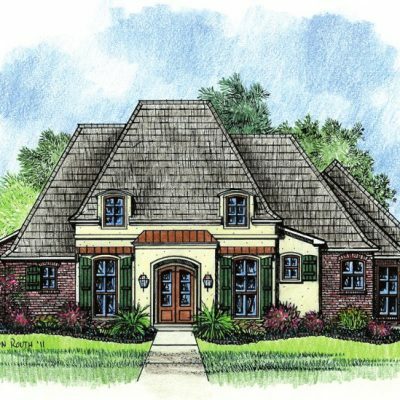 Country French Home Plan with large family room and rear porch. The family room is 18′ by almost 22′ with a fireplace and is open to the kitchen and dining area to make the space feel larger. 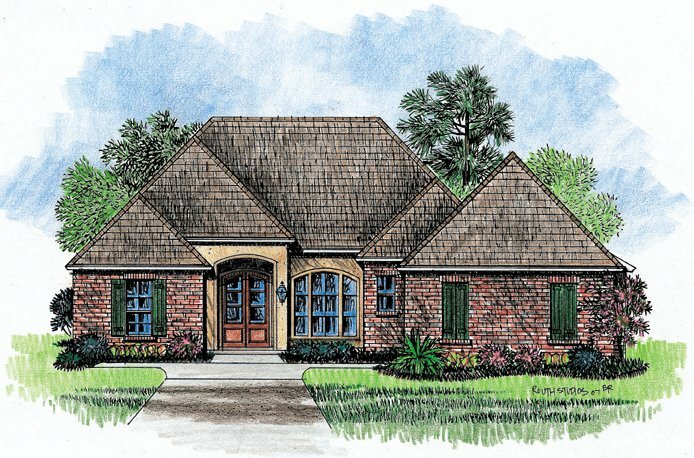 This house plan features four bedrooms. 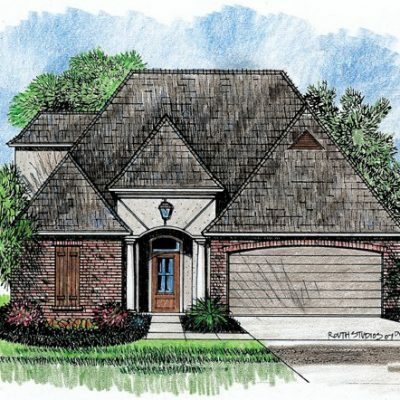 The master suite has a recessed ceiling and French doors that open to the master bath for that grand feeling. The master bath features a separate bath and shower along with his and her walk ins and closets. 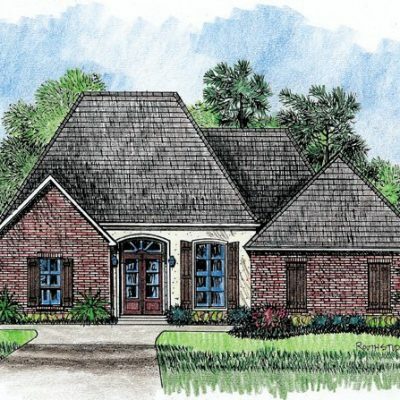 You will also enjoy your private access to the rear porch from your master bedroom. 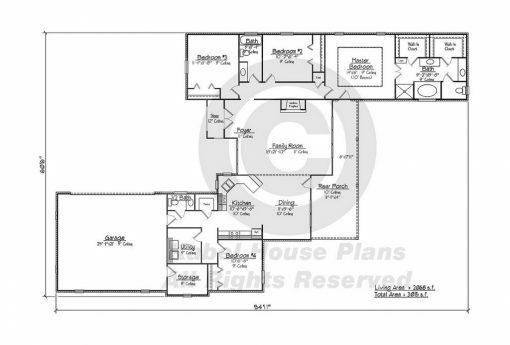 Also, there is a two car garage attached with a j-driveway configuration. 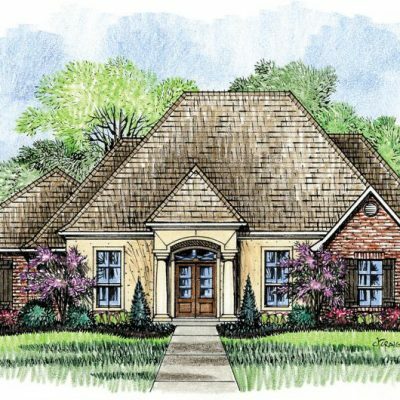 You will find the layout of this home makes it feel bigger than its square feet suggests.